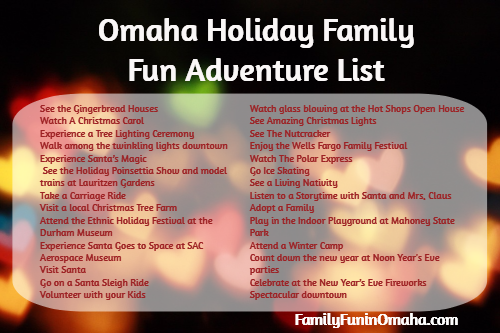 There is so much to see and do this Holiday Season in Omaha. 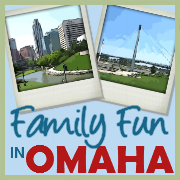 Enjoy this special time with your families with our Omaha Family Fun Adventure List! 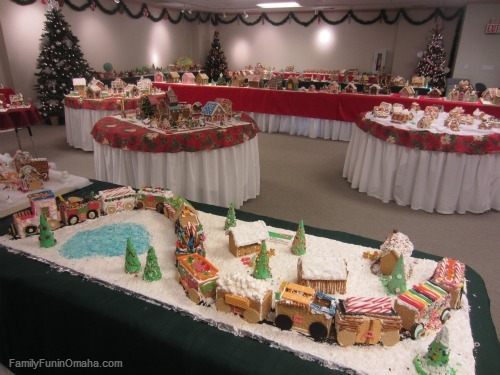 See the beautifully decorated Gingerbread Houses and do the fun scavenger hunt. Watch A Christmas Carol at the Omaha Community Playhouse. Experience a Tree Lighting Ceremony at a variety of area locations. Walk among the twinkling lights in Downtown Omaha at the Holiday Lights Festival. Experience Santa’s Magic at Omaha Children’s Museum. 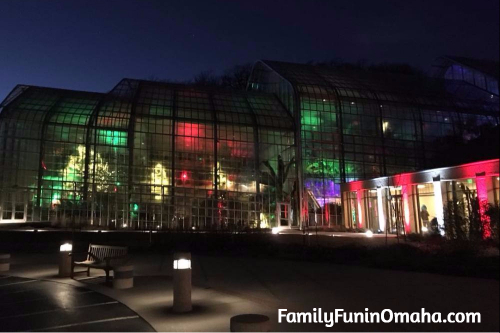 See the special evening Holiday Poinsettia Show Aglow with model trains and miniature Omaha-area landmarks at Lauritzen Gardens. 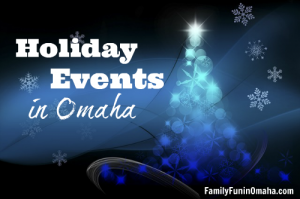 Participate in one of the many Omaha Public Library Holiday Events. Take a carriage ride at Shadow Lake Towne Center, Village Pointe, or Lights of Aksarben. Visit a local Christmas Tree Farm to pick out a tree. Attend the Ethnic Holiday Festival at the Durham Museum and get your photo in front of the giant Christmas tree. 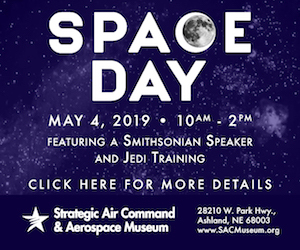 See Santa Claus and Star Wars (the Imperial Stormtroopers of the 501st Legion) at Santa Goes to Space at Strategic Air Command & Aerospace Museum. 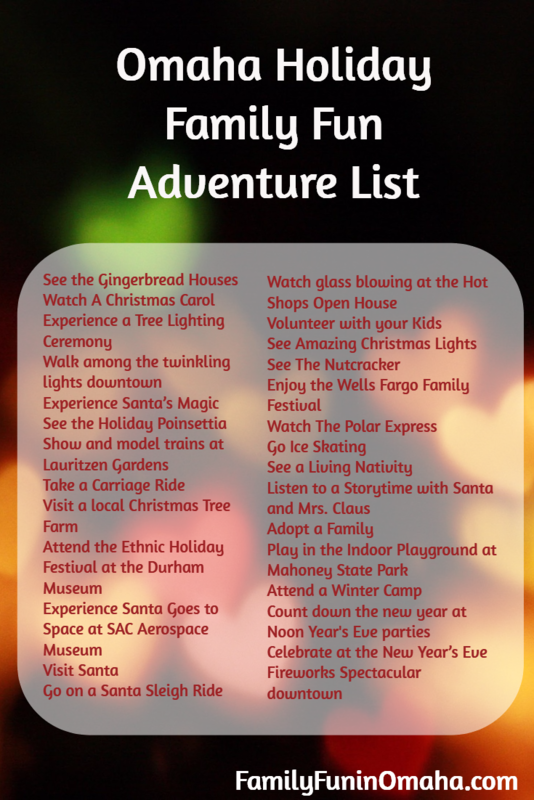 Visit Santa at a variety of area locations. Go on a Santa Sleigh Ride at Hummel Park Nature Center. Watch bronze pouring, clay work and raku firings, iron forging, and glass blowing at the Hot Shops Open House. 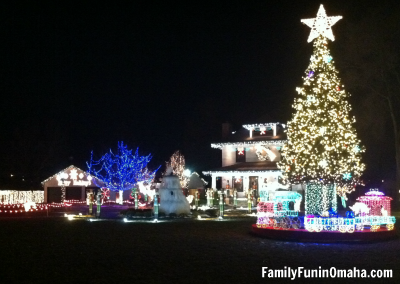 See Amazing Christmas Lights in the Omaha Area. See the holiday classic, The Nutcracker, with Ballet Nebraska. 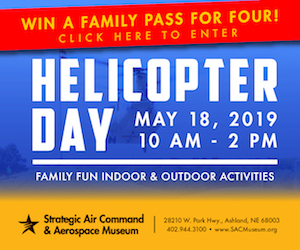 Enjoy family activities and experience many of Omaha’s leading downtown attractions for FREE including Omaha Children’s Museum, The Durham Museum, and more at the KETV Family Festival. Listen to a Storytime with Santa and Mrs. Claus. Adopt a Family or Volunteer with your kids. 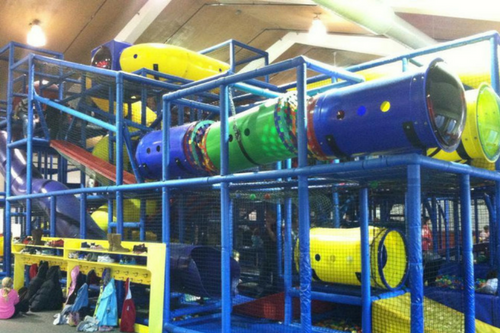 Play in the Indoor Playground at Mahoney State Park. Attend a Winter Camp during the Christmas break. Count down the new year at Noon Year’s Eve parties. Ring in 2019 at the New Year’s Eve Fireworks Spectacular downtown.